Notes: Ideally all cleans are to a full squat position. Only go up in weight if your form looks really good for all three hang cleans. 7×1 3 Position Clean (floor – hang) + 1 Push Jerk – heaviest possible, rest 60-90 sec. Notes: This is a full clean from the floor, then a clean from the hang and push jerk with out dropping the bar. Work up in weight. Since the close of the Open (and really during it) I have embarked on what I am calling the Huge-Ification project. As an olympic weightlifter I decided to move from the 85kg to the 94kg class, the category that is better suited for my height. This will coincide with my training as a CrossFitter leading up to regionals and beyond. I currently weigh 195ish pounds, 8 pounds heavier than before the Open, and my goal is a lean 205-210. I am telling you guys this (I understand if you do not care) because I know it is in line with the goals of some you as athletes. This might be the next step for those guys out there who after the EIE Challenge are ready to put on quality fat burning lean muscle mass. The way I am going about this project is with a method called carb-backloading. This phenomena is somewhat sweeping through the CrossFit world although it really is not revolutionary. Strength athletes and body builders have been doing it for years and it essentially falls in line with the ideas of the paleo challenge of running mostly on fat and protein and properly timing of your carbohydrates. Carb back loading is for the strength athlete and uses the body’s principles of insulin sensitivity, fat mobilization, and some other more complicated factors to attain more lean muscle mass and help sustain a high volume of training. Essentially, you wake up and stay fasted for the first few hours of the day. Your first meal should consist of high quality fats and protein. If you work out later in the evening, your second pre workout meal should look the same as the first. 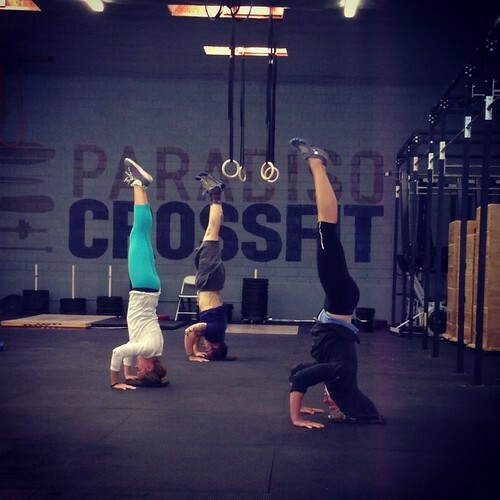 Your training should consist of resistance and high intensity full body exercises (CrossFit). After you are done lifting heavy stuff and training hard your body is most sensitive to the muscle building benefits of insulin and growth hormone spiking and is craving easy to digest carbohydrates and protein to begin repairing tissue. So after you work out, you eat most of the days carbohydrates. Ideally, this is in the afternoon. Your dinner can also contain carbohydrates to continue to replenish glycogen stores, especially if you are training the next day. In summary, spend most of the day on fat and protein. Work out and then eat carbs to help build muscle and sustain training for the next day. If you do not work out the next day you do not need to carb back load as much the night before. For my specific case, I am going to try to follow carb back loading and put on weight as cleanly as possible. My day looks like this. I wake up around 7 and drink coffee but usually do not eat until around 9 or 10. I then eat a large portion of eggs, avocado and left over meat. I head to the gym to train around 1 and the sessions last up to three hours. After training, I take a SFH Recovery Shaker and then within the hour I consume a quart of Meyenberg Goat Milk. While this is not perfectly paleo, in the short term it is a great way for me to get the necessary protein, carb, and fat combination I need after I workout. And again, I am trying to gain weight. After coaching for the evening, I will eat dinner or two dinners of of sweet potatoes, green vegetables, and meat. Lately, I have been adding fruit and white rice, if I am out, to these evening meals. Overall, I try to eat a higher volume of carbohydrates throughout the evening then I have in the past but I am strict with no carbs throughout the day. So far, the project is working as I have gained “good” weight and my training has been going well in terms of feeling recovered and strong each day. While 210 pounds will take a lot more backloading and volume eating, it should be a pretty fun experiment. I wanted to post this because it may help some of you dudes (and ladies!) out there who want to put on more muscle and have trouble doing it. A LOT of high level CrossFit athletes eat this way and it works well to sustain training. It is always beneficial to take stock of what you are eating and if you are upping your training volume you MUST eat more. If you want to gain muscle, you MUST eat EVEN more. Carb back loading just happens to be the “cleanest” way to do it and not unravel all the hard work you have put in during the Challenge or through years of training. If you want to learn more about the science behind this stuff…get your Google on.